Lamborghini is about to unveil the new Aventador roadster - and it's one of two new Aventador models waiting in the wings, CAR magazine can reveal. 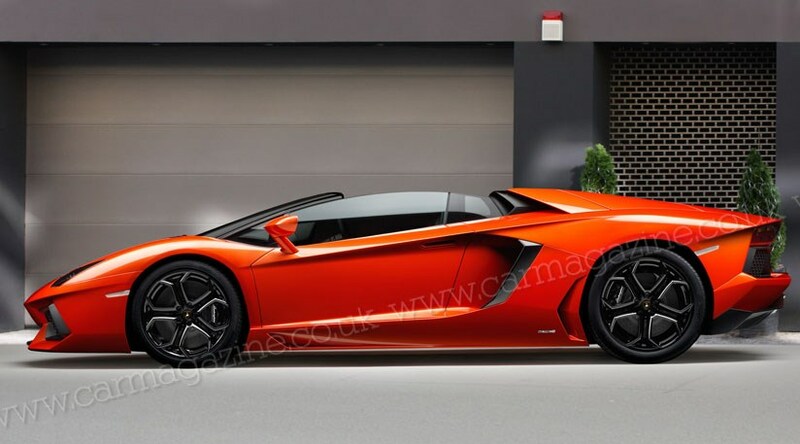 Click here for our Aventador review. Depicted in our artist's impression above, the Aventador convertible will be shown in autumn 2012 ahead of a sales launch in 2013. For the first time, the V12 Lambo gets a retractable hard top. But it's not the only Aventador spin-off coming to a motor show soon: Sant'Agata is also planning an Aventador GT, a more practical, touring kind of Italian V12 supercar. For the Geneva motor show 2013, the Italian sports car maker is contemplating a roomier and slightly softer-edged Aventador GT concept car. This top-secret new coupe may feature an extended wheelbase, two small rear jump seats and a different door concept, probably with short rear suicide panels, according to CAR's sources. Details are still sketchy, but it is clear that a GT would have to be shaped less aggressively than the mid-engined two-seater it is based on. At this point, it is unclear whether and when the GT will evolve from show car to production model. BMW has pioneered a similar +2 supercar packaging layout in the new i8, so it's not a question of feasibility - but more of an investment and marketing issue. Unlike the open-top Murcielago which was haunted by an infuriatingly complex removable top, Lamborghini's next attempt at making a hole in the V12's roof is allegedly much more straightforward. Insiders don't expect a Gallardo-style push-button electric hood, but a retractable hard-top panel - like the Ferrari 458 Spider and McLaren MP4-12C Spider. Expect the Avenador cabriolet to go on sale in time for spring/summer 2013.